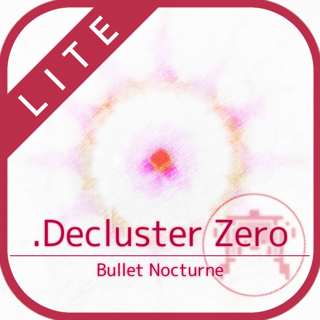 .Decluster (dot decluster) is a vertically scrolling 2D shooter game (shmup). The controls you need are just two. To move your ship and to fire the homing laser. Because it is designed for mobile devices, you can control easily on the iPhone / iPad. Slide your finger anywhere on the screen to move your ship. The relative touch movement is adopted. And tap second finger to fire the homing laser. Basic shots are automatic. The homing laser is powerful activity and is also a key to surviving. The homing laser requires the gauge of it at least 1 Lv. The moment the homing laser was fired, bullets around your ship are canceled and get cancel bonuses. This is so important. Don't forget it. The player's unhitting box is very small. It is displayed as a white rectangle in the center of the ship. And when a lot of bullets appear, the game-speed gets slowdown. Therefor you can keep surviving more than meets the eye. Four different difficulties. From beginner to expert. The novice difficulty has some benefits from the start. Extra options and extra lives. If you are beginner fun of shooter, the novice difficulty is a good choice. In the settings, you can adjust the size of game view and you can also adjust the touch sensitivity for slide control. If it is hard to see the screen because of your finger, or you have incongruous with the slide control, then try to adjust them. From version 2.0.1, the boss battle mode was added. - Slide one finger to move the Player. - The Player automatically fires. - Tap second finger to fire the Homing Laser. - The Homing Laser will target at the nearest Enemy. - The Homing Laser can be fired when the gauge is enough. 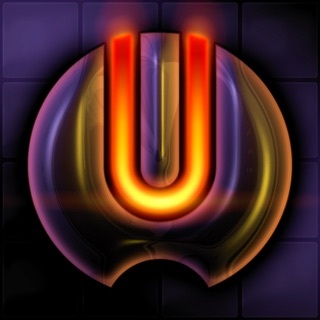 - The gauge is filled by shooting enemies or collecting items. 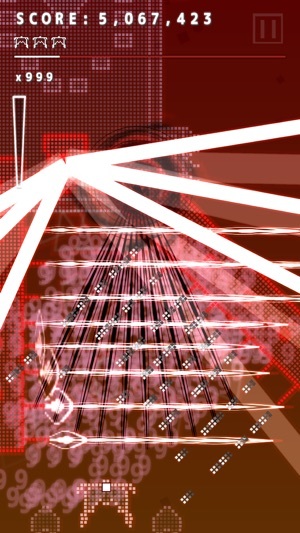 - The moment the Homing Laser was fired, bullets around the Player are canceled. - And cancel bonuses are obtained. - The more gauge is the larger cancel range. - The more bullets are canceled, the more bonuses are obtained. 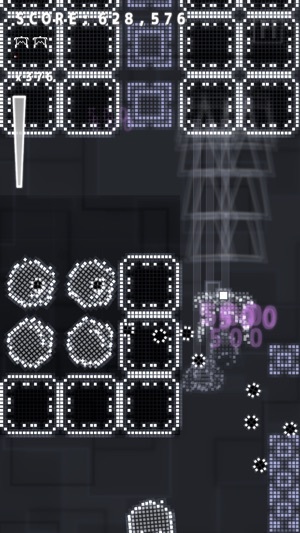 - Collect items to obtain score and fill the Homing Laser Gauge. - Option items are alternately switched to each other every 5 sec. 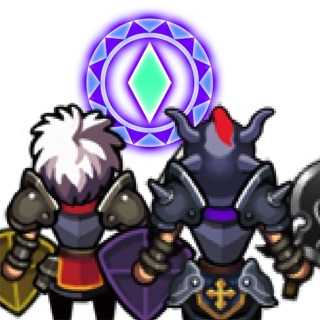 - The higher bonuses are obtained by faster destroy enemies. - Additional bonuses by the Homing Laser. - Extra life every 3,000,000 pt. iOS 8.0 or later is required from this update. Can't get enough of this game! 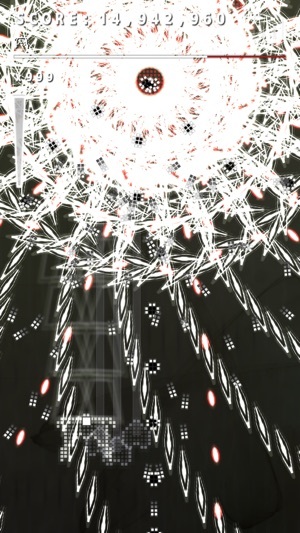 Music, the levels, the bosses, and the most important, bullet hell madness!!! 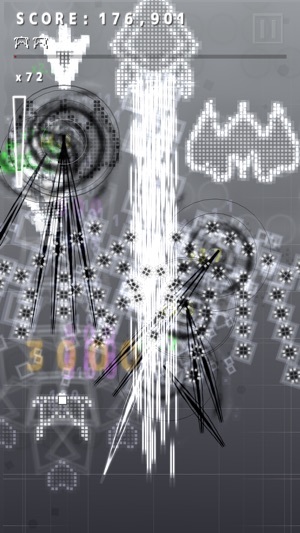 This game is a very nicely done abstract shoot'em up that's has the same vibe as the game Noiz2sa or RRootage. 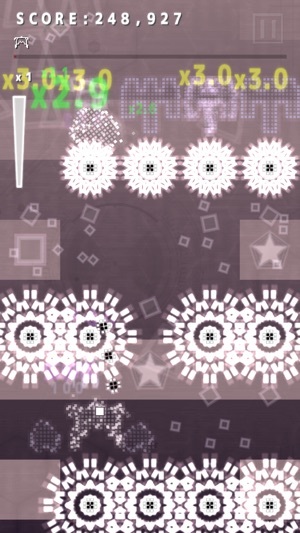 The game uses relative touch and the dev put in lots of options to customize the controls and even change screen sizes. GameCenter has now been implemented with achievements. You can tell a lot of thought went into this. I definitely recommend it. There is NO IAP nor any ads. 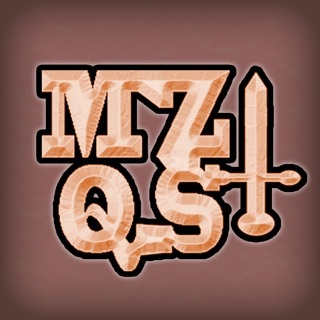 Please support this dev. I can't tell you how fun this game really is.